By definition, there are three hypertrophy mechanisms: mechanical tension, metabolic stress and muscular damage. And by focusing solely on one of these and neglecting the other two, you could lose a great chance to grow indefinitely more. Typically, lifters will emphasize mechanical tension and/or muscular damage while overlooking the importance of metabolic stress. It is common knowledge that the mechanical tension associated with resistance training stimulates hypertrophic gains – that’s why we lift heavy weights, right? But while lifting by itself is capable of promoting muscle growth, there’s another important muscle-building side of resistance training that has to do with the metabolic stress caused by lifting in the high repetition range. 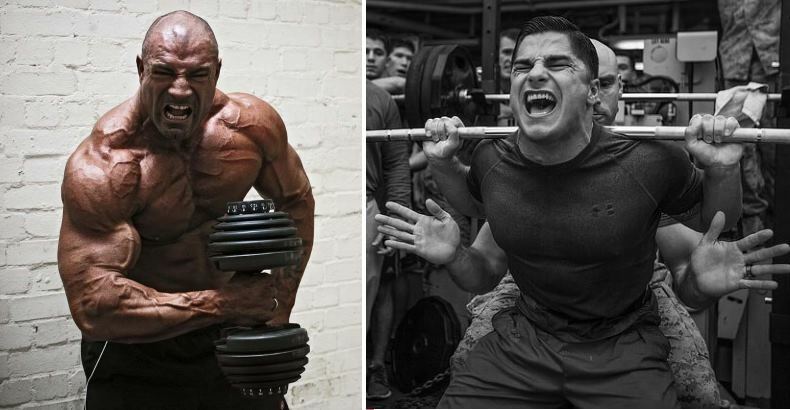 In this article we’ll present you a science-backed way to achieve insane results from your resistance training by increasing metabolic stress. Science has so far offered a decent amount of evidence that inducing greater hypertrophy by increasing the metabolic stress with high rep exercises can even further enhance the gains of lifting heavy weights. Researchers are still not sure exactly how this happens, but studies have so far confirmed the link and offered a few possibilities. First, increased metabolic stress increases the recruitment of fast-twitch muscle fibers while promoting fatigue of the slow-twitch ones. Therefore, metabolic stress increases the growth potential of the muscle as a whole. The second way on which metabolic stress is thought to enhance muscle growth is by increasing the production of local growth-promoting substances in the muscle tissues, called myokines, which are partially regulated by metabolic stress. On the other hand, scientific research has shown that metabolic stress reduces catabolism, which is another important part of achieving optimal muscle growth. So if you want to enhance your performance almost immediately and achieve stellar growth in the shortest time possible, maximizing metabolic stress is the way to go – by optimizing your energy turnover, increasing muscle fiber recruitment and boosting the production of anabolic hormones, metabolic stress can promote awe-inspiring muscle growth. Here are 5 painful but sure-fire ways to build the muscles you always wanted. Perform a set to total failure, then let the weight stretch the muscle for 30 seconds. Aggressively stretching a pumped muscle is an extremely effective way to achieve muscular hypertrophy due to metabolic stress. By doing this you can increase overall muscle tension and muscle mobility under loading while maximizing the cell swelling response as well. And that’s how maximal muscle damage looks like. Machine flyes with intra-set stretching – Adding intra-set stretching to your machine flyes is a great and simple way to use the benefits of this technique. Perform a set to failure in a very high rep range, then let the load stretch you out for 30 seconds or as long as possible. For optimal results, make sure to take your set to absolute mechanical failure (when there’s absolutely no way that you can complete another rep) before the stretching. Then hold that stretch for at least 30 seconds, no matter what. The rule of “no pain, no gain” applies here more than anywhere else. The most important thing about intra-set stretching is avoiding to compromise your form and especially joint positioning. Sacrificing your form is a surefire way to reap injury with this exercise. Drop sets are one of the most popular method for increasing the intensity of your training. Drop sets are performed by training with a heavy weight until fatigue, then dropping the weight by 20-30% and immediately performing another set without resting. For example, squat with a weight you can only lift 5-6 times, then drop the weight by 30% and immediately start performing a subsequent set until failure. Continue dropping the weight and performing subsequent sets until failure until you’re absolutely drained and literally can’t move your body anymore. The main reason why drop sets work so great is that in any given set you are able to recruit a certain amount of muscle fibers and nothing more. But if after completing that set, you strip the weight down, you get to recruit different muscle fibers and that will lead to growth that couldn’t be obtained if you were to stick with the original weight. “Partial rep” is the name for a movement with limited range of motion that mimics a movement with full range of motion. This style of working out can be used for strength gains because by using more weight on the limited-range-of-motion lift you get stronger on the full-range-of-motion lift. However, a better way of implementing partial reps for hypertrophy is by performing an exercise with the full range of motion, then shortening it as you start to fail and continuing the movement for as long as possible. In addition, the major advantage of partial reps over full-range reps is that they allow you to target your resistance to the specific range of motion you’re using, so they can be useful for targeting not only your strongest points, but the points where you are at your weakest as well. 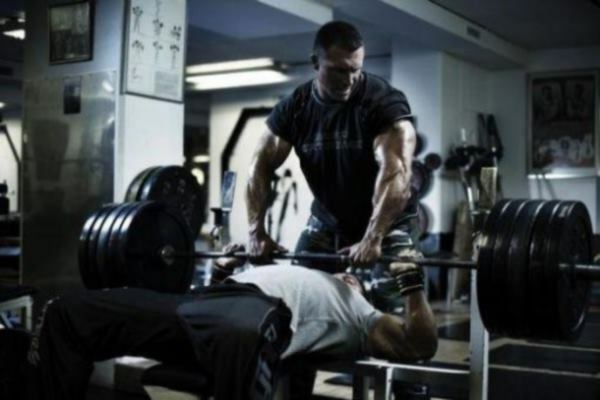 The exercises which are most suitable for partial reps include the bench press, squats, deadlifts, barbell and dumbbell curls, barbell shoulder press, dips, close grip bench, pushdowns and bent-over rows. When programmed adequately, partial reps can be a very powerful tool for taking your set way beyond mechanical muscular failure. Check out this video where a traditional drop set is combined with partial reps on the last drop. Start with a weight that you can move with a perfect range of motion and rhythm for at least 10 reps.
As you progress through the reps, your range motion will naturally start to decrease. So as the range of motion decreases, your job is to maintain a consistent rhythm and tempo while keeping the execution out of the stretched bottom position constant as well. Ultimately, as the reps increase, you’ll be left with moving the weight just a few inches out of the stretched position. The set is over only when you become completely unable to move the load anymore. Isometric exercise is a type of strength training in which the muscle length and joint angle do not change during the contraction. In other words, an isometric muscle action means employing muscle strength or tension without producing an actual movement – for example, holding a weight at a certain position in the range of motion. It can also be done by pushing or pulling against an immovable external resistance. Isometric training is considered as one of the best ways to achieve greater muscle activation, i.e. increased recruitment of muscle fibers. In fact, one recent study found that maximal isometric muscle action can lead to recruiting over 5% more muscle fibers, compared to maximal eccentric or maximal concentric action. 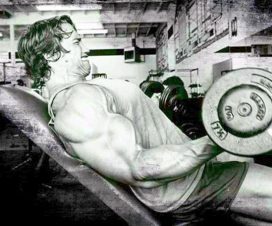 Now here’s the greatest idea ever invented in bodybuilding: shock your body by combining two or three exercises that work the same muscle group and performing them back to beck with minimal rest in-between. This set scheme is called a compound set and it’s obviously very different from the superset, which combines two exercises that hit opposing muscle groups. A basic example for a compound set is combining the bench press with a push-up. And if you add more than three exercises that hit the same muscle groups to the set, it set can be considered a giant set. Giant sets are a brutal but extremely effective way to induce maximal metabolic stress, increase local blood flow to active tissues and thereby create a massive pump, and ultimately, create a unique stress to muscle tissues, with the end result being unprecedented muscle growth. For example, you can combine a taken-to-failure compound movement with an isolated movement that involves the same muscle group of movement pattern. This is a great way to ensure new growth by hitting your body in a different way and increasing the intensity of your workout, especially for advanced lifters which often have difficulty to achieve continuous progress since more matured muscles adapt to exercise relatively quickly. Giant sets amplify the metabolic effect of weight training even further, mainly by combining the aerobic element of cardio with the anaerobic element of weight training, leading to greater muscle damage and greater fat burning. In addition, they also increase both your total training volume and time under tension. So no matter if your goal is to shed your excess fat quickly or build muscles like a beast, giant sets are the answer you were looking for.